Louis Vuitton Bag Brera Damier "Ébène"
Louis Vuitton Brera Damier “Ébène”. 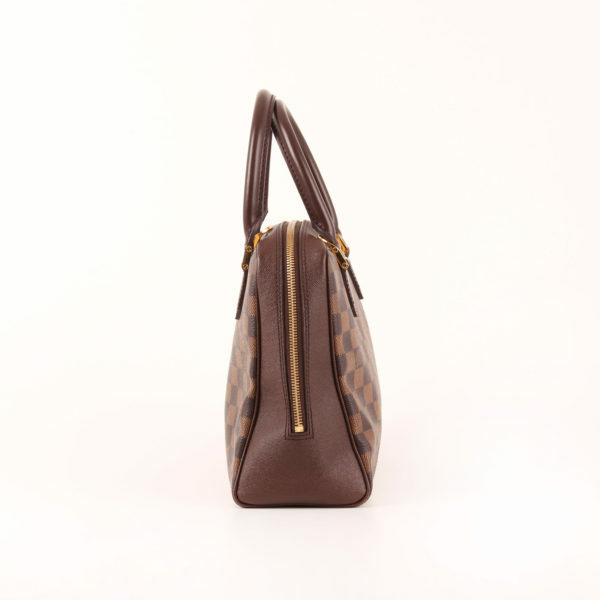 Square-shaped and roomy, inspired by classical handbag lines. 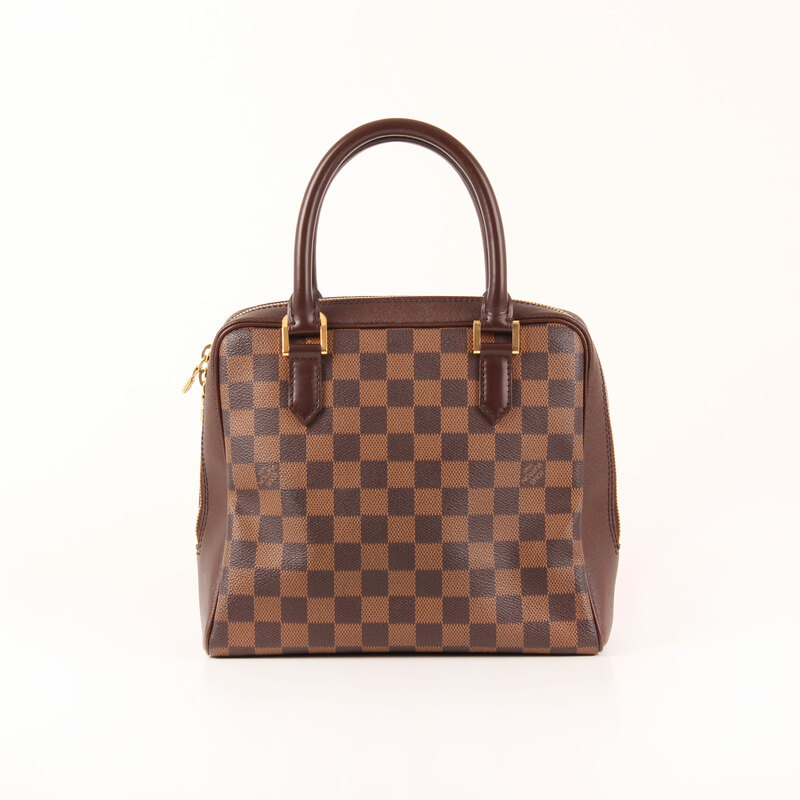 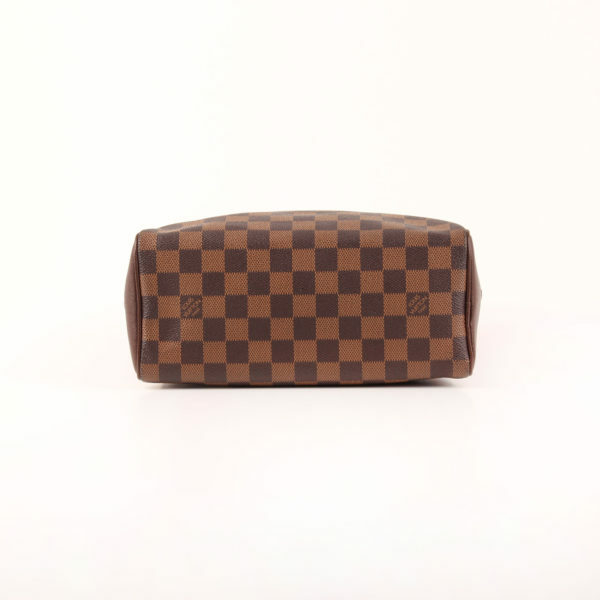 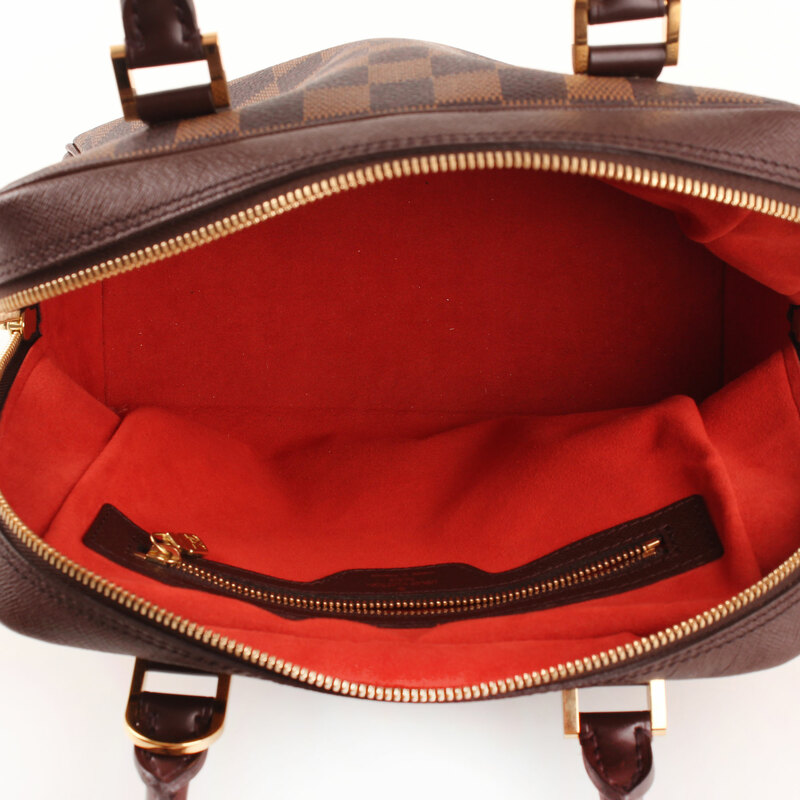 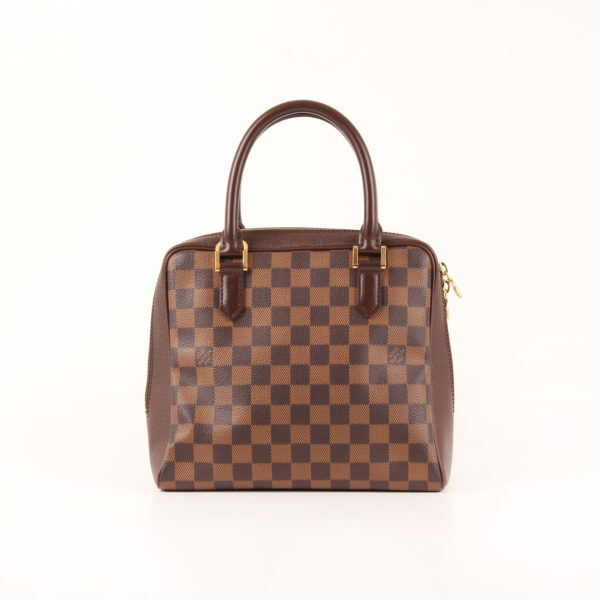 Louis Vuitton model Brera in Damier canvas “ebony”, brown leather and gold hardware. 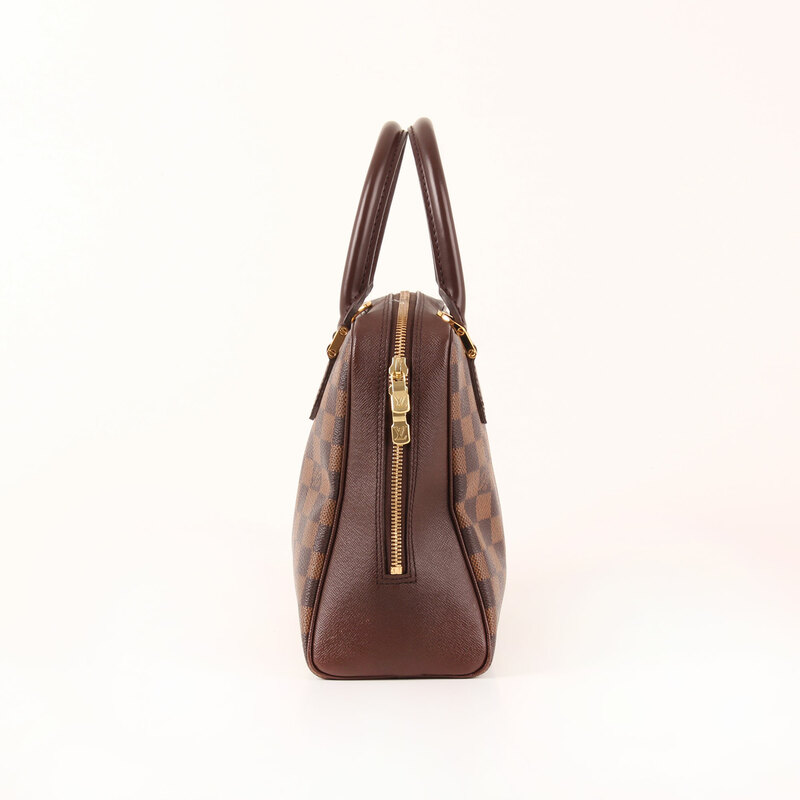 It features a zipper which runs through the edges except for the base, thus giving the bag plenty of space to carry your essentials though being a small model. 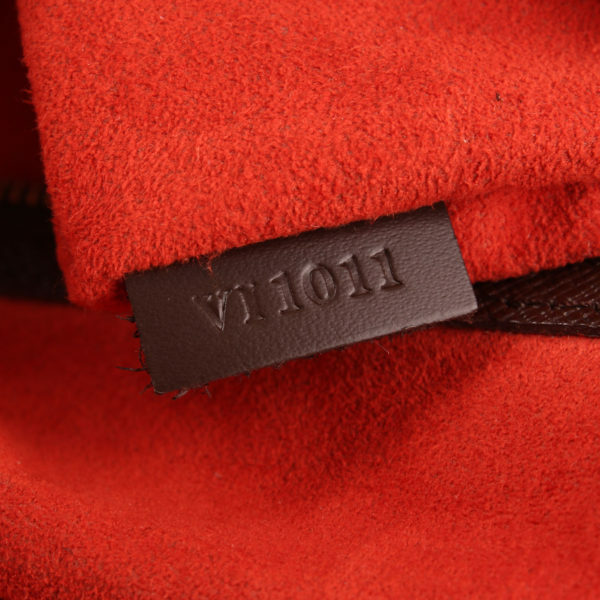 Double brown leather handle, brown canvas sides and red suede lining with a zip closing pocket. 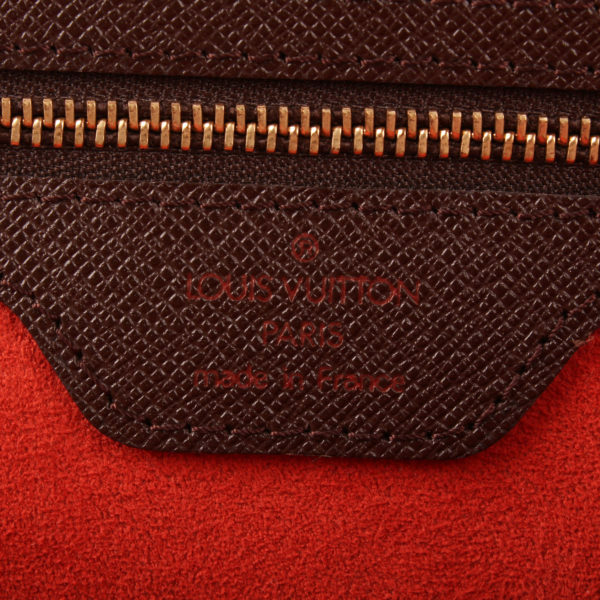 Details: A visible scratch in one side. Angles show signs of wear.